Feb. 26, 2018–The Fund for Investigative Journalism (FIJ) and the Schuster Institute for Investigative Journalism at Brandeis University are pleased to announce the 2018 winners of our nationally competitive journalism initiative funded by the Ford Foundation, with the express goal of increasing diverse and inclusive voices and topics in investigative journalism. Four journalists have been awarded grants and fellowships for social justice investigative reporting projects: Danielle Mackey, Johnny Magdaleno, Luis Trelles and Chandra Thomas Whitfield. The fellows will investigate critical contemporary issues such as racial disparities in domestic violence cases, treatment for opioid addiction, Central American gangs, and the government’s handling of natural disasters. Judges for the selection process said the need for such reporting is great and that the quality of the proposals received reflects the outstanding pool of talented independent reporters seeking funding and support for groundbreaking stories that can have far-reaching impacts. Based in New York and El Salvador, Danielle Mackey reports on security and development in the U.S. and Central America. 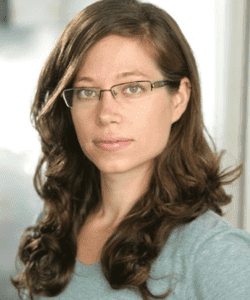 Her work has appeared in The Intercept, The New Yorker, Foreign Policy and The New Republic, among others, with work forthcoming in El Faro and Revista Factum. She was twice an International Women’s Media Foundation Fellow. Originally from Iowa, she has spent most of the past decade in El Salvador. 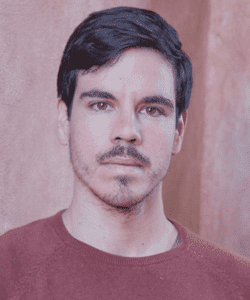 Johnny Magdaleno has investigated human rights issues in Somalia, Turkey, Myanmar and other countries. His credits include Al Jazeera, The Guardian, Newsweek, Christian Science Monitor, NPR and dozens of other organizations and websites. His work has been presented to Congress, and his reporting for VICE News on youth homicides in Salinas, California, led the local police officers’ association to raise funds to promote political candidates committed to public safety. Magdaleno was the 2016-2017 Equitable Cities fellow at Next City. Luis Trelles is an audio reporter and producer based in San Juan, Puerto Rico. He covers Latin America and Latino communities in the United States for Radio Ambulante, a Spanish-language podcast distributed by NPR. 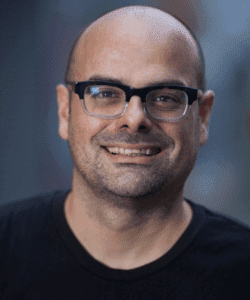 His work has appeared in WNYC’s Radiolab, Gimlet Media’s Reply All, and NPR’s Planet Money and All Things Considered. Trelles also teaches in the City University of New York’s Graduate School of Journalism. 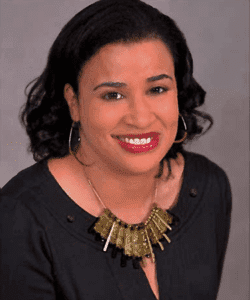 Chandra Thomas Whitfield is an award-winning multimedia journalist who contributes regularly to NBCNews.com/NBCBLK. Her work has also been featured with NPR, ESPN’s The Undefeated, The Root, The Grio and magazines such as Essence, Ebony, Newsweek and on Time.com. One of her features made the Atlanta Press Club’s “Atlanta’s Top 10 Favorite Stories of the Past 50 Years” list and contributed to a change in Georgia law and a teen’s release from a 10-year prison sentence. About the Ford Foundation: This initiative was funded by the Creativity & Free Expression unit of the Ford Foundation, an independent, nonprofit grant-making organization. For more than 75 years it has worked with courageous people on the frontlines of social change worldwide, guided by its mission to strengthen democratic values, reduce poverty and injustice, promote international cooperation, and advance human achievement. With headquarters in New York, the foundation has offices in Latin America, Africa, the Middle East, and Asia. About The Fund for Investigative Journalism (FIJ): Since 1969, FIJ has supported the work of independent journalists who have tips, sources, and ideas, but lack the resources needed to do their investigations. The late Philip M. Stern founded FIJ to invest in the work of determined journalists in the fight against racism, poverty, corporate greed, and governmental corruption. FIJ-supported projects have won a wide array of journalistic honors, including Pulitzer Prizes, the George Polk Award, the Sigma Delta Chi Award, and many others. Please see fij.org for more information. About the Schuster Institute: The Schuster Institute for Investigative Journalism at Brandeis University is a collaborative, nonprofit newsroom focusing on social justice and human rights issues as well as government and corporate accountability. Launched in 2004, it was the nation’s first independent, investigative reporting center based at a university. The Institute’s reporting on human trafficking and modern-day slavery, criminal justice, wrongful convictions, race and justice, food and health, environmental justice, gender and justice, immigration, and more has led to changes in corporate policies and local, state, national and international laws and policies and the exoneration of two wrongfully convicted men. Please see brandeis.edu/investigate and WeInvestigate.org to learn more.